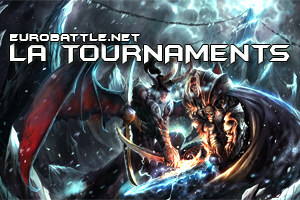 Welcome to the Eurobattle.net - World's Largest Warcraft III Community. Learn how to connect and find out more about important news on Eurobattle.net. Visit our official Wiki to solve your problems, errors, discover new programs and tools and learn more about the server. Help in everything connected to the W3 and Eurobattle.net world. Discuss here the best DotA strategies. Discuss here about everything that doesn't deal with the Warcraft III World. Chit-Chat Topic - Third Era. Celebrate others' birthdays as well as the most important national and religious events. Report here players that you suspect of Maphack use. Report here players which have used dischack against you. Report here other hacks than maphack, dischack, lag abuse or loading abuse; read the rules carefully. Report here users who insulted you. Make sure you read the rules before you post. This forum is strictly meant for unfairly banned accounts or ips,not dota bots bans! This is the Polish section, so only Polish language is allowed here! Vítejte na fóře pro Cz/Sk hráče. Forum creat special pentru jucatorii romani! Intra si tu! Zvanični forum za sve igrače sa Balkana. Most users ever online was 4,457, 25th June 2012 at 11:15 PM. Join our DotA and Custom Games Tournaments to win PSR and Icons!